Left to Right: Bryan Salt, George Laskowsky, Camila Donoso, Carolina Llanos, Christopher Aravena, Allan Kirkwood, José Ignacio Fernández. Bryan has worked on the cutting edge of technology for the last 25 years, he is best known for his ability to develop innovative approaches to push technology beyond what is considered possible. In 2001 he led the creative team that put the first 3D engine on the ARM 9 chipset, leading to the global standard for 3D on 98% of mobile devices worldwide. His earlier company, Televirtual, broadcasted the world’s first digital puppet on BBC TV in 1994 and also introduced the first commercial motion capture studio to Europe. Prior to that he worked with blue chip Medical companies and the British Military on virtual reality visualizations and simulations. He has published over 50 titles with household names such as Sony, Disney, Lego, Tron and Harry Potter. Whilst dedicated to new technology his education background is in design and in his early years he worked for Vivid Id with bands such as the Rolling Stones and Living Color. Andy Wilde VP Product Development at SwiftKey, the n° 1 paid app for mobile. Chris, whilst a qualified software engineer, has worked extensively on the creative side of high end games production for industry leader A2M. His creative experience on top name titles such as Ice Age, Crash Course and Pacific Rim have given him the ability to understand the complete process involved in game production giving us a crucial link between design and engineering methodologies. Has a passion for technology, science and art. He began working in the field of high energy particle physics, but then he made the jump to the game development industry, working both in console and mobile platforms for industry leaders. He also has an interest in teaching computer science, where he applied gamification techniques with great success. Today, at Thinker Thing, he pursues his lifelong dream of erasing the boundaries between the real world and the digital realm. Carola is a graphic designer with web and photography skills. She has been working in this area for over 10 years. Previously she spent 6 years as Partner & Director at Efecto Creativo, a design and publicity agency with clients from different industries with very diverse requirements. Carola has been working on the Thinker Thing project since it’s inception, first as a freelance designer and now full time as Marketing and Design Manager. Nacho was trained as a Computer Engineer with a Masters in Logistic and Operation System, but has since worked on cutting edge educational projects. This mix gave him the background he needed to give creative people the freedom they need whilst keeping their feet firmly on the ground. 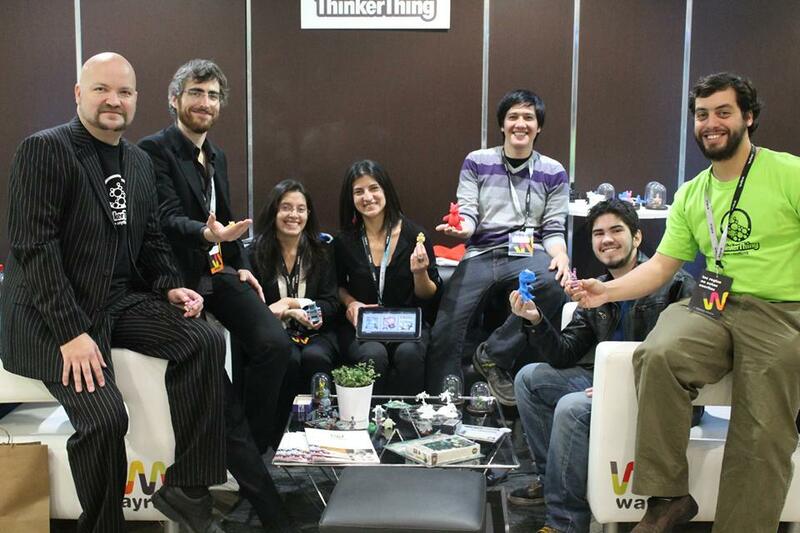 His work has receive several awards worldwide, including “Woodie Flowers Finalist Award” from the FIRST Community in Los Angeles, California (2012), the “Young Education Leader Award” from Microsoft and The British Council in London, United Kingdom (2012) and was selected as one of the 100 Innovation Leaders from the program “Jugados al 100!” of “Fundación Chile” and the Chilean Ministry of Economy in Santiago, Chile (2013). This experience made Nacho the ideal choice to bring order and stability to the cutting edge work undertaken at Thinker Thing. Working in the game industry for so long means we know world class talent when we see it, and Allan’s 3d work jumped out at us from day one. This exceptionally talented illustrator and 3d artist has packed a lot into his short career, included art direction for a University animation production, modeling characters for tv and working on local movie projects.